This page describes technical information on the network for the RICOH Unified Communication System (hereafter referred to as "RICOH UCS"), including ports, domains, and IP addresses required for conference communication. RICOH UCS performs communications through a service platform built at the data center. 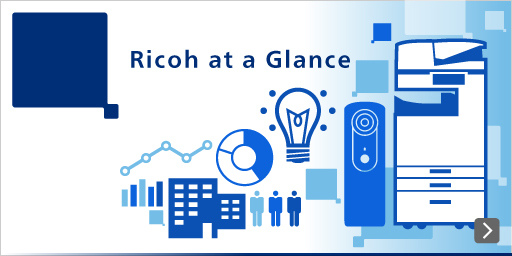 During each conference, RICOH UCS sends and receives video, audio, and screen sharing data through the service platform. RICOH UCS provides three procedures according to the customer's environment. If it is not possible to conduct a conference through UDP ports due to the customer's network environment or policy, TCP443 port or Proxy communication can be used instead. This method can be used in an environment where outbound communication is not restricted by a firewall, such as a mobile Wi-Fi connection. This method can be used in an environment where outbound communication is restricted by a firewall, and only web access is allowed. This method can be used to connect through a Proxy server. *RICOH VGS, Only P3500 supports TCP443 mode. There are three methods to specify the destination of communication. If it is possible to control access by specifying domains, this method can be selected. When the domain names are unchanged, any additions, changes, and deletions concerning IP addresses do not require changes to the domain settings. (B) Using the range of server IP addresses. See the following list of server IP addresses. If it is necessary to impose restrictions based on IP addresses, the addresses can be selected from the list. (B) The range of server IP addresses and (C) the server IP addresses of individual servers should be used according to the customer's decision. For ports, domains, and IP addresses required for setting the customer's network equipment, see the following pdf file. *The operation for customer's network equipment should be conducted by the customer. In what situations, should I specify the destination of communication? There are roughly three types of customers who must specify destination. RICOH UCS provides three procedures for the above 1) according to the customer's environment. Particularly if UDP communication is selected, "UDP destination restrictions" could be imposed by the firewall at the Internet connection in the context of security policy. In this case, you need to set the firewall. The setting can be made using domain names or IP addresses. Depending on the filtering function used in the customer's environment, RICOH UCS communication can be affected. In this case, you must configure the filtering software to set exclusions. *With most filtering software, it is possible to set exclusions using domain names. If it is necessary to separate the normal route for accessing the Internet (for browsing Web pages, etc.) and the route for UCS conference communications, you must set "routings" on the communication equipment, e.g. the router. Why are IP addresses added/changed? RICOH UCS service adds/changes servers for expanding and strengthening the servers. What happens if the change of IP address is not applied? This effects UCS conferences and functions. Make sure to specify all addresses, not only some of them. When should settings for firewalls and communication equipment be performed? Guidance for deadlines where the IP address is changed is given separately. There is a need to make changes before the deadline, not only "addition" but also "deleted". If you need to receive announcement emails, conduct email distribution registration at the following site. What are the actual procedures to configure the firewalls and communication equipment? Procedure to configure the firewalls and communication equipment differ by the products. Please ask the network administrator of the customer for actual procedures. Is there a method to confirm that settings were made correctly? There are no tools to confirm the settings. Not only active servers, but also standby and reserved servers are included in the list. Server exchange is performed as a usual system operation, within the scope of not effecting service. The customer is required to do the configuration and check the operation by themselves.